All dragons can fly, right? Well not this one! 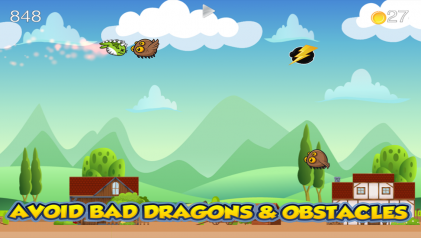 In Bouncy Dragon, you help your dragon to fly as far as possible by drawing platforms for him to bounce off. He flaps his little wings as fast as he can, but just can’t fly on his own! 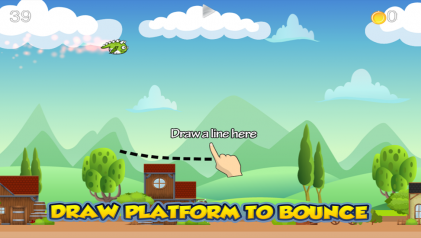 – Draw platforms at the right height and angle to get the best bounce. 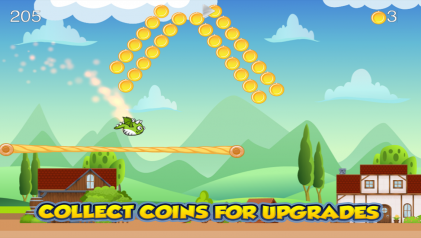 – Collect coins to use to for boosts and platform upgrades. 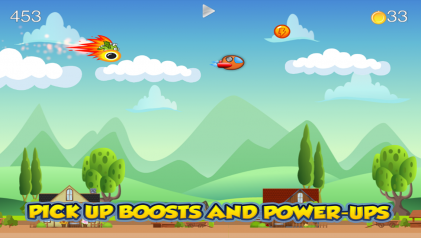 – Pick up boosts and power-ups along the way to fly faster, bounce higher, and more. – Avoid bad dragons and lightning clouds that block your way. 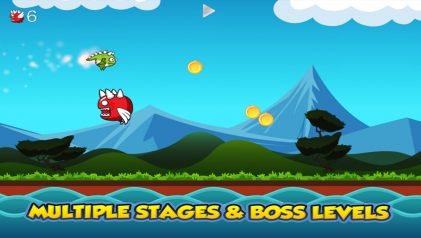 – Multiple stages to bounce and flap through, including boss levels. – Play with friends on Facebook and see who’s bounced the furthest. 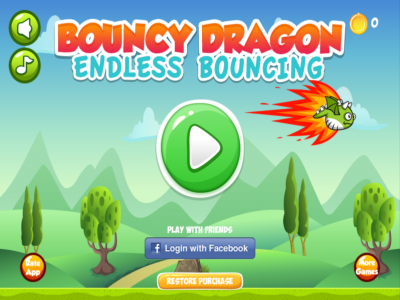 – Play Bouncy Dragon for free without ads.